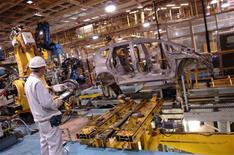 Car makers face Japanese parts shortfall | What Car? The affects of the Japanese tsunami on the global production of cars are yet to be fully felt. Honda and Subaru say they are anticipating issues with the delivery of vital, Japanese-built microprocessors, while all Japanese car makers are moving production from Thursdays and Fridays to Saturdays and Sundays to help ease concerns over electricity supply. However it's not just Japanese car makers that are affected. Bosch, a major supplier to almost every car manufacturer in the world, has 8000 'associates' in 36 locations in Japan, along with another 550 sub-contractors. The parts it supplies from Japan include fuel injectors and injection products, pumps, electronic control systems, hydraulics, packaging and security features. Peugeot says it's facing delays with cars fitted with 2.0 HDi FAP 163 and the automatic gearbox. Models affected are: 308 SW and CC, 3008, 5008 and 508. It hopes to have the situation resolved by the end of the year. Volkswagen says the issues its faces are currently limited to supply of rear view reversing cameras. Unreleated to the tsunami, Volkswagen confirmed that customers are still likely to face delays of six months or more on models fitted with its 1.6 TDI engines, simply saying that production has not been able to keep up with demand for the engine.